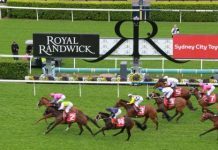 Home Horse Racing Is prizemoney the answer for Australian racing? Australia (population 23 million) sits third in the world rankings for prize money distribution in horse racing. Ahead of it are the USA (population 315 million) and Japan (population 125 million). The figures for 2010 show that $427 million was handed out here in Australia in prizemoney. That’s a huge amount for a country that has only 23 million people to draw its revenue from. The comparable figures for 2010 from the UK (population 63 million) show a prize money allocation of $151 million (99 million pounds). Relative to the size of its population Australia distributes around 8 times the amount of prize money than the UK does. The contribution made by punters in Australia to the prize money pool compared to UK punters is enormous. When I moved to Australia from the UK 15 years ago British racing was in a steady but definite decline. It was still popular but losing ground and market share to other sports. A turnover tax of 2.5% levied on bets placed off course had been implemented around 30 years earlier and as is the way with taxes had steadily increased over time. Eventually, deductions from winning returns for off course bets were 10%. The average SP over rounds at that time were probably in the region of 130% so it’s not difficult to understand why people were drifting away from “ the punt”. British racing was dying on the vine and without a catalyst for change looked a lost cause. The catalyst came in 2000 with the launch of Betfair and a betting revolution was begun. No longer did punters have to overcome 130% over rounds (margins on Betfair were 1-2% generally) but they could actually “lay” runners they didn’t fancy. 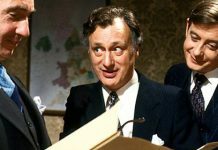 Almost immediately after the launch of Betfair the British government abolished the turnover tax. The “racing levy” which was part of the tax would now be paid by Bookmakers as a percentage of their profits. Amongst the racing fraternity there was consternation that funding would now be totally reliant on the profits of bookmakers. 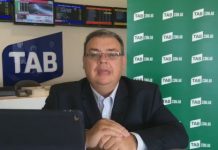 The only wagering outlet left contributing directly to racing on a turnover basis was the Tote which was publicly owned and operated pari-mutual pools on racecourses and owned a chain of high street betting shops. The Horsemen (owners, trainers, breeders, jockeys, etc.) believed that this was truly the end for racing. Prize money was threatened as they would have no control over the sums given back by the bookmakers to pay the racing levy which determined the amount of prize money available. If prize money didn’t keep pace with inflation then as costs rose no one would be able to afford to race horses anymore and the game would be up. What actually happened was that people started betting again. Many who had stopped years before as the turnover tax had risen came back. Here was a betting landscape that gave the average punter a real chance of coming out on top. Once Betfair was established and operating markets at 1-2% margins the on-course bookmakers margins had to come down to remain competitive. Instead of markets averaging 130% these dropped to 114/116%. A whole new generation of punters came onto the scene. Young,sharp and confident that these were circumstances they could exploit to be able to turn a quid or two on the punt. Betting turnover began to rise and rise. Bookmakers margins however began to fall. They were turning over more money but because the margins were being squeezed the percentage of turnover held as profit was dropping. Despite this turnover was so strong that profits overall went up. Eventually things began to plateau and turnover leveled off and profits too. Despite this leveling off the UK now has a very strong and vibrant betting scene. In every community resides someone who makes a living on the punt and is seen to be doing very well out of it. Numerous people are able to at least finish straight across with their betting. Betfair calculates that 98% of their clients lose after commission but that still leaves 1 in 50 turning a profit. Making a profit punting in these conditions isn’t easy, you have to work hard at it but the rewards are there if you do. What matters is that it can be done and that there are plenty of people around proving it. This fires up people to want to join them. All the people breaking even this year are convinced that next year is going to be the one that sees them move into the black and beyond. If you are anti-gambling then you’ll view all this as a curse and a blight on society with people wasting their time when they should be doing something productive, worthwhile , earnest and soulful. I see it as an intellectual challenge. It requires objective thought, the ability to weigh various factors accurately, courage, patience, self discipline and resilience. It expands the mind – it’s good for you! So what did this betting revolution do for the racing over in Britain. Well for a start people started going back to the races. Racecourse attendances in 2004 exceeded 6 million for the first time since the 1950’s. There was a slight drop off after this and through the GFC but the numbers have climbed back up again each of the last 3 years and well over 6 million attended the races last year. This is despite the UK being in recession. Certainly the racecourses there have worked hard to promote their race days with live acts playing after evening racing, ladies days, theme days etc, but so they should. If you’re competing for the consumers money you’re going to have to give them what they want. Since the initial revival in 2001 prize money levels in the UK have actually fallen. The figures for 2004 were 101.3 million pounds dropping to 99.1 million pounds of total prize money in 2010. Allowing for inflation that represents a round a 25% decline in real terms. What effect do you think that has had on the number of horses in training there? Surely, it’s gone down you’d think? You’d be wrong. In 2004 there was a monthly average of 13,914 horses in training. In 2010 after the GFC , with the country in recession and a decrease in prize money in real terms of 25% the monthly average of horses in training was actually higher at 14,340. What has actually happened is that as the interest in racing has increased so has the kudos of owning a horse and been a part of it all. Despite the drop in prize money people are still prepared to shell out to own a racehorse. Prizemoney levels in the UK are woeful compared to Australia but their racing is in far better shape overall than ours. An impartial outsider looking at looking at the racing scene in both countries would assume that there is a lot more money sloshing around there than there is here. They have after all Royal Ascot, Glorious Goodwood, York Spring and Ebor festivals, Newmarkets Guineas and July festivals, Doncaster St. Leger festival, Ascot’s Champions Day (new,innovative and likely to become the best single day’s racing anywhere in the world within 2/3 years) the Cheltenham Festival and the Aintree Grand National Festival. 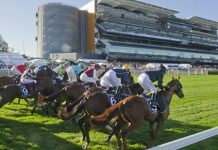 In Australia we have the Melbourne Spring Carnival (excellent), Melbourne’s Autumn Festival of Racing , Sydney’s Spring and Autumn carnivals (both a shadow of what they used to be 20 years ago), Brisbane’s Winter Carnival plus a few special days shared out between Adelaide, Perth and the Gold Coast. That impartial observer looking at the respective budgets would be entitled to ask the Australian racing administrators “what exactly have you done with all this money?”.To which the answer probably is “handed it all out in prize money “. b) It’s a status thing. No one until recently ever seriously got into it thinking they might make money out of it. Now Australian owners feel empowered to argue seriously that they should be able to get a fair return on their investment. Vobis and other incentive schemes have been set up make all this more possible. The Victorain State Government prompted by its enthusiastic Racing Minister Dennis Napthine has contributed $6.8 million this year to Super Vobis all to be distributed as extra prize money and made a major contribution to finance Jumps racing in the state. Why a State government is dolling out taxpayers money for schemes like these is highly questionable? No doubt the voters in Victoria will get the chance to ask these questions next election time. If I were a Horseman (owner,trainer,jockey etc.) here in Australia I’d take a very dim view of the facts pointed out in this article ever gaining any currency. After all it’s human nature to want to operate on the best possible financial terms for yourself. 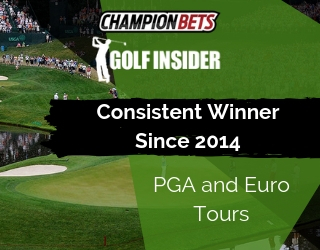 The more prize money on offer the better off financially you are. I, however am not a Horseman. I am a passionate racing enthusiast and a punter. As a racing enthusiast living here in Australia I want the sport to be as vibrant and popular as it once was. I realize it has to be funded and that the funding levels have to reasonable and that it has to come primarily from wagering. I don’t believe that extracting more money from the punter will actually improve the racing product on offer. What will drive a resurgence in the popularity of Australian Racing is resurgence of people betting on it. The more competitive the betting landscape is, the more people will become involved and the more money will be turned over. More people betting on racing will mean more people going back to the races. 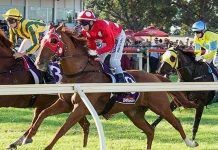 All you have to do to make sure they keep coming back is to ensure that the betting opportunities there offer everything and hopefully more than they can get punting at home. The recent High Court ruling that allows racing authorities to set a price on their product is a done deal. It gives the authorities a legal foundation to work with. That doesn’t mean it has to be the only way. 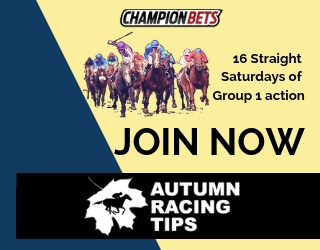 If you want a really competitive betting landscape here in Australia then firstly a way has to be found for betting exchanges to be able to operate here without being strangled out of existence. It’s not impossible it just requires goodwill and an understanding that the existence of an exchange serves to keeps bookmakers margins low and the overall betting market highly competitive. If Betfair goes or is strangled into uncompetitiveness then margins will rise and all the recent gains over the last few years will be lost. Unfortunately all the racing authorities are effectively controlled by the Horsemen who are determined to maintain the status quo and want to see the back of Betfair. 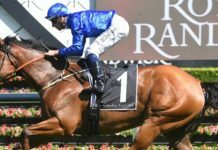 Someone with vision and some flair is needed who can drive things forward so everyone can benefit both Horsemen and the Punters who are after all the ones paying for all of it. Meanwhile something must be done urgently to get serious punters back at the track. Canterbury and Sandown midweek meetings are soulless nowadays. Surely someone in power must realize that if you lose the punters you will be left with nothing. Just for starters what about on-course totalisators operating win pools with 7% take outs? On course Bookmakers being able to allow you to either back or lay a runner. This would bring the traders on course and that would invigorate the on-course market big time. Sure there are hurdles to be overcome with any new suggestion but if both of the above suggestions were a reality I and thousands of punters like me would be back on course in a flash.